When thinking about New England, surfing isn’t typically the first idea that comes to mind. Cold weather blinds the eye when it comes to searching for waves for most people. Those of us who have lived near the coast our entire lives know that New England can in fact produce perfect waves if the conditions line up. 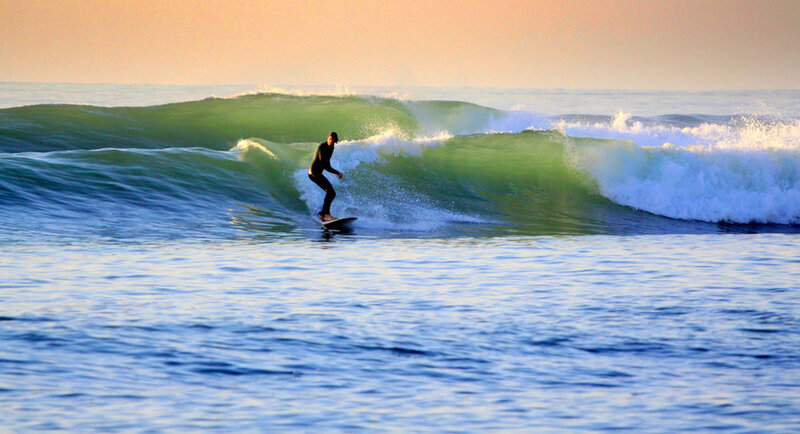 Dive in for our personal top 5 Surf Locations in New England. This spot is a long scenic right hand point break that breaks over a predominantly rock bottom. Low tide can get very shallow and hollow. Point Judith is notorious for holding large surf well. Watch out for locals and rocks. Mostly Advanced Surfers. When thinking of New England Surf, Ruggles is usually the first place that comes to mind. Located in historic Newport Rhode Island, this spot features a long drawn out right point break that can hold serious size. The rock bottom reef lines up a point providing very fun rides. If you are new to this spot, be sure to watch where the locals paddle out as it can be tricky to figure out. Watch out for rocks and localism. Advanced Surfers Only.